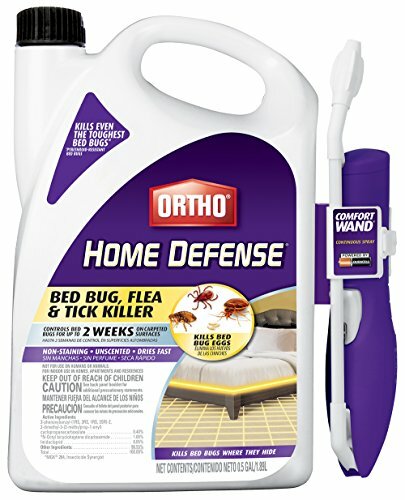 Defend you home against bed bugs with Ortho Home Defense Bed Bug, Flea & Tick Killer. It is great for large areas and kills even the toughest parathyroid resistant bed bugs. The formula is non-staining, unscented and dries fast. Use with confidence in bedrooms, closets and family rooms to kill bed bugs, fleas and brown dog ticks. The continuous spray wand saves time and energy while also allowing you to control bed bugs for up to 2 weeks on carpeted surfaces. If you have any questions about this product by Ortho, contact us by completing and submitting the form below. If you are looking for a specif part number, please include it with your message.